Here’s the New York Times interview with Rachel. The interview is a Q&A and, naturally, Rachel’s answers are pretty awesome. Her last big purchase? A chimney for her and her partner’s home in Massachusetts. 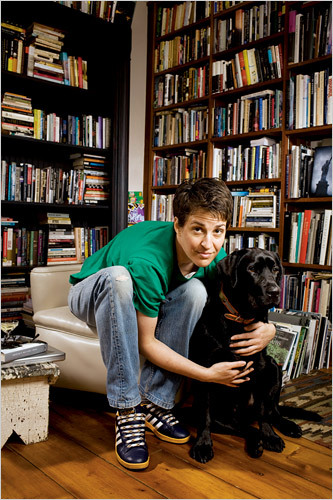 i know im late on this one, but on my list for today was “read gina’s blog.” rachel maddow is a babe. totally awesome. big fan.